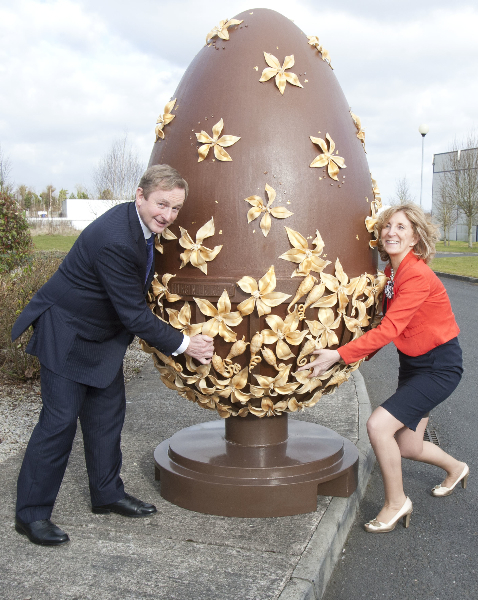 An Taoiseach Enda Kenny T.D. 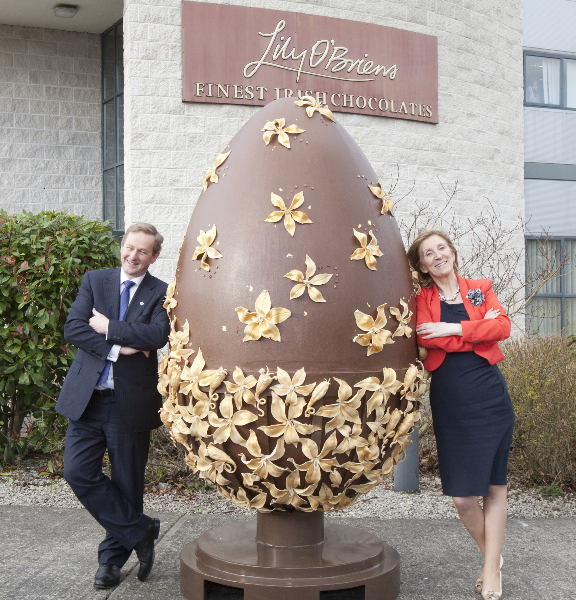 was in Lily O’Brien’s Chocolate Factory in Newbridge with Senator Mary Ann O’Brien to celebrate 21 years of Lily O’Brien’s and to mark the company’s sponsorship of The Big Egg Hunt in aid of the Jack & Jill Children’s Foundation, of which Mary Ann is the co-founder. 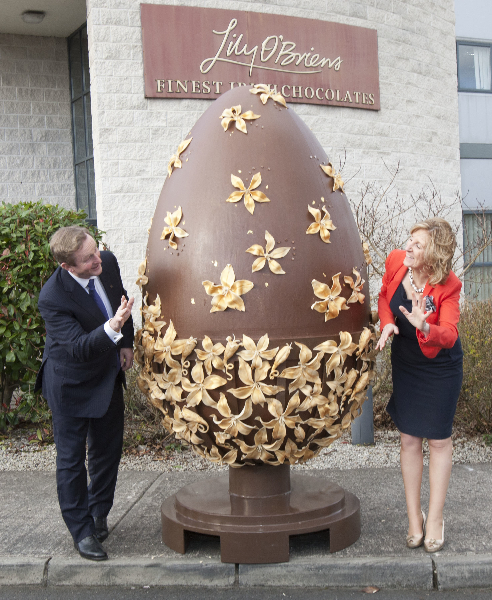 Today the company employs 120 full time staff and produces up to 60 tonnes of chocolates per week from its repertoire of over 180 different chocolate recipes. 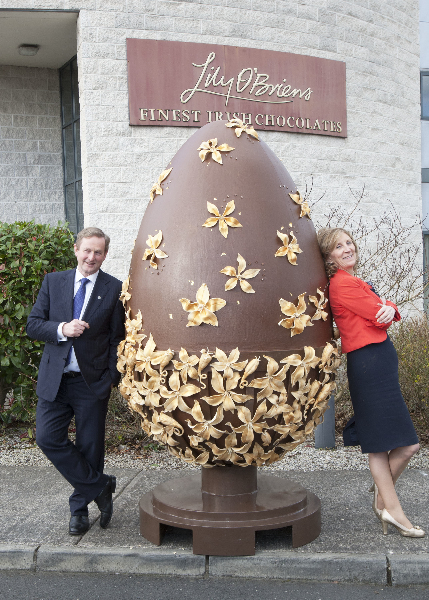 For the past five years the company has been Ireland’s top performing indigenous chocolate brand within the premium confectionery category, with consistent 15% market share (Nielsen, 2012: sales in multiple retailers). 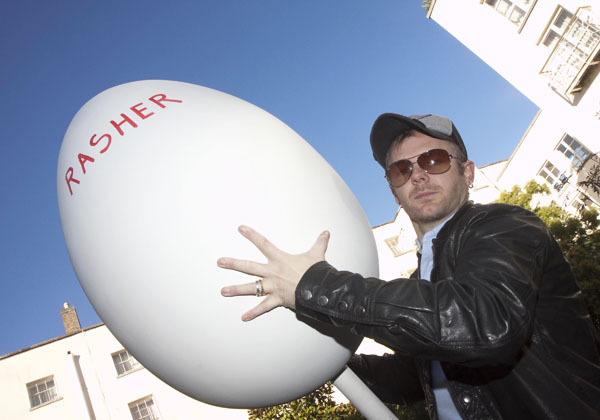 Rasher served with Egg – pictures from the official launch! 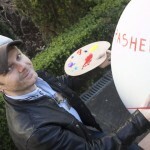 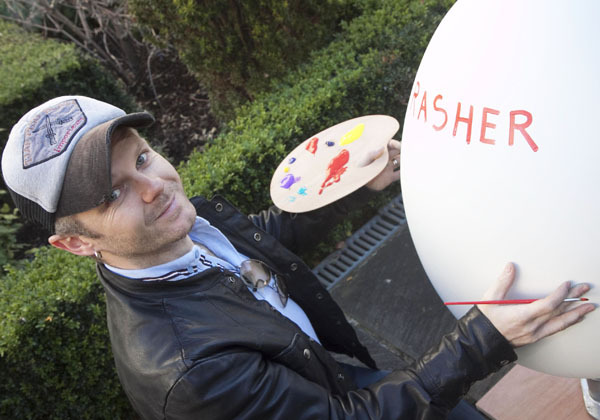 Artist Rasher calls for 100 fellow artists to join Ireland’s BIGGEST EVER egg hunt in aid of the Jack & Jill Children’s Foundation and sponsored by Lily O’Brien’s! 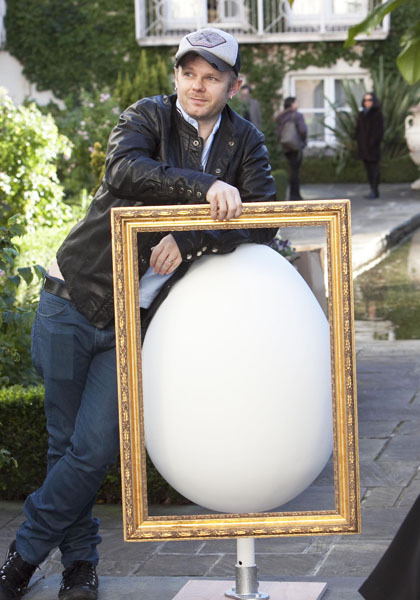 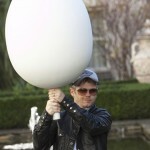 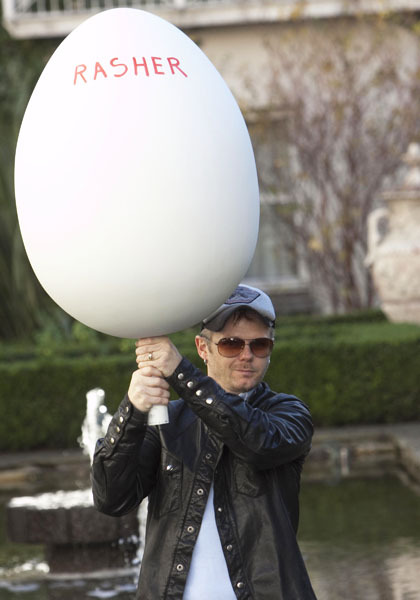 Renowned Irish artist Rasher called for 100 fellow artists to showcase their talent and get involved in Ireland’s BIGGEST EVER egg hunt in aid of the Jack & Jill Children’s Foundation and sponsored by Lily O’Brien’s at a photocall in the Merrion Hotel Dublin today, when Rasher was served with his Egg – quite literally! 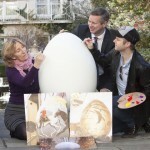 Jack & Jill needs 100 artists to sign up by the end of November-2012 to decorate the eggs with a completion date for these works of art of mid-January 2013. 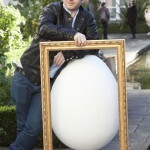 All those interested are asked to contact Jack & Jill 045 894538 or thebigegghunt@gmail.com. 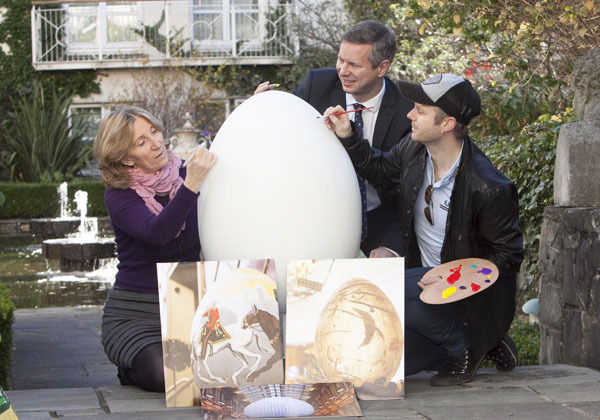 As well as Rasher, Guggi, Orla de Bri and Graham Knuttel and NCAD students are already on board this nationwide fundraising initiative for Jack & Jill which makes art accessible to everyone. 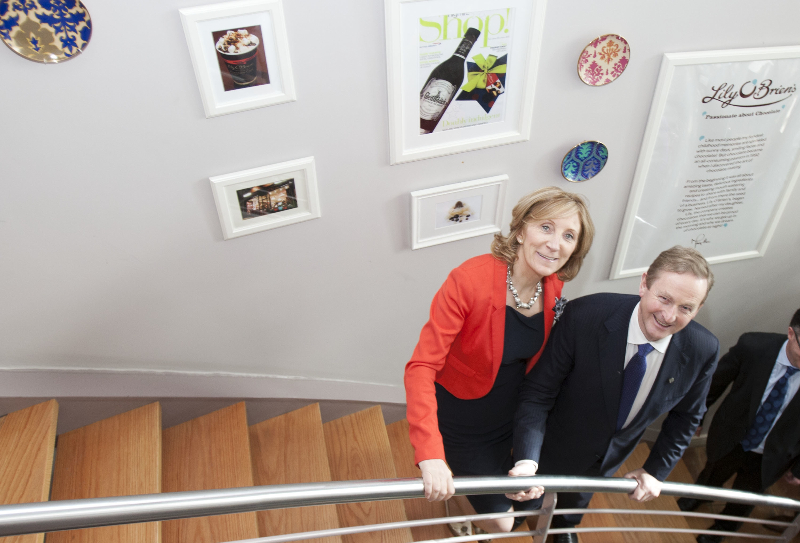 Rasher was joined today by Senator Mary Ann O’Brien, chairman of Lily O’Brien’s Chocolates and co-founder of the Jack & Jill Children’s Foundation, as well as Eoin Donnelly, managing director, Lily O’Brien’s.